The El Alamein Fountain in Fitzroy Gardens, King Cross opened in 1961 as a memorial to the Australian Imperial Forces 9th Division in World War II. It commemorates the Battle of El Alamein, a key strategic town in northern Egypt, which helped turn the course of the war. The fountain was designed by Architect Robert (Bob) Woodward (1923-2010) and is an outstanding work of modernist design. 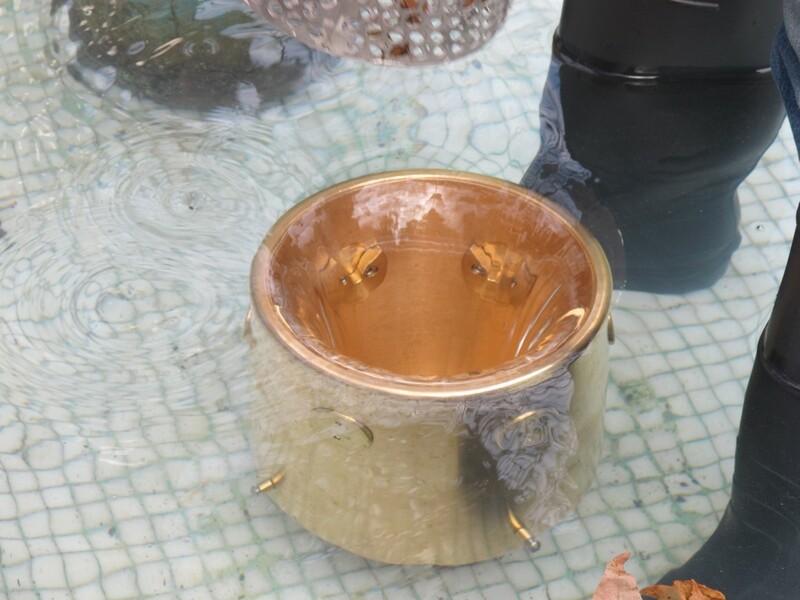 The fountain follows the design principles of Finnish architect Alvar Aalto for whom Robert Woodward worked in 1953-54. The El Alamein Memorial Fountain underwent extensive restoration work in 2012-2013. The restoration was in accordance with the original intention of the fountain’s designer Robert Woodward, and subject to ongoing consultation with his family. Research for the restoration started in 2008 and Woodward was involved in the early stages and supplied copies of the original design drawings and specifications. 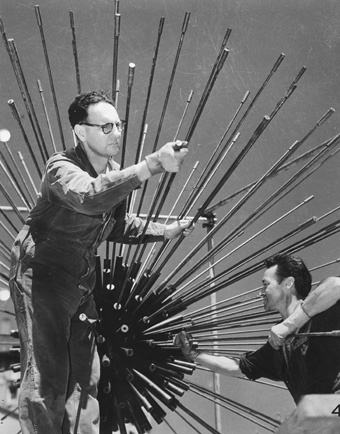 The metalworker on the restoration project was Denis Williams, son of Eric Williams who made the original wands for the fountain. 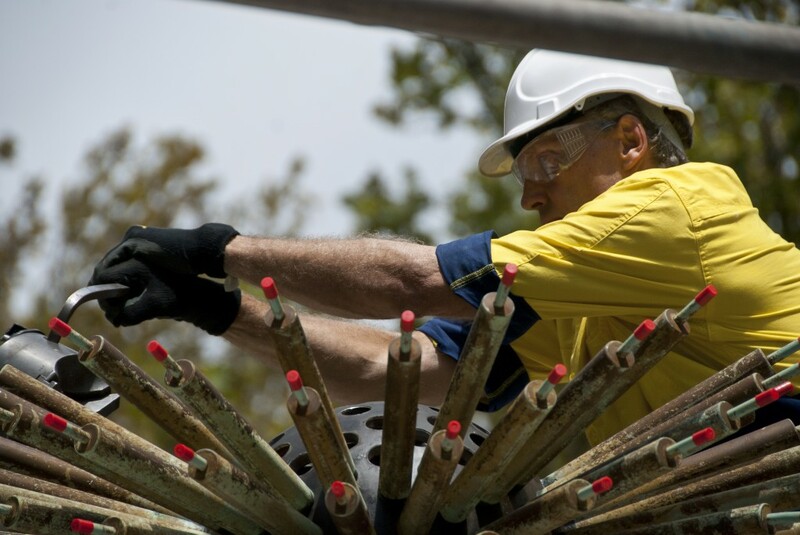 Works on the State Heritage-listed fountain included cleaning and restoring all the metal elements, including replacing fountain wands that form part of the central ‘dandelion’ feature. 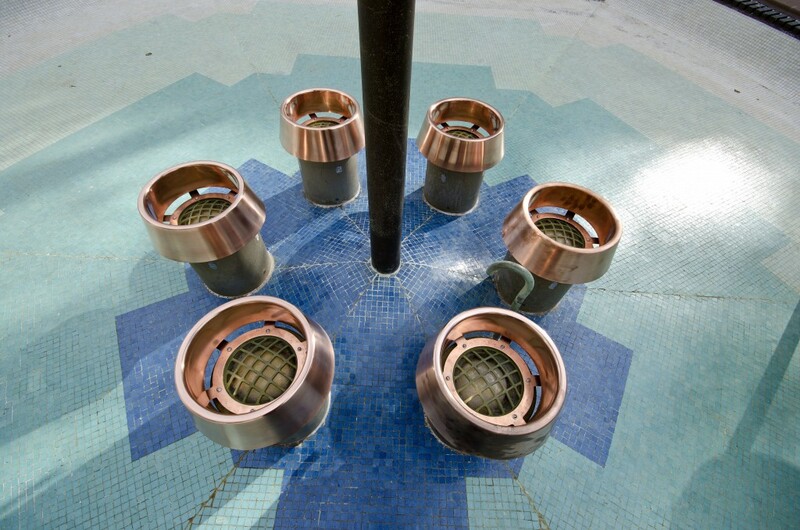 The original light fittings and water filters were refabricated. The stonework was cleaned, repaired and waterproofed and the original multi-coloured mosaic tile base was thoroughly cleaned and restored. Replicas of missing plaques were remade.